Ben & Jerry's should make this? Ben and Jerry's? You gotta be kidding me. B & J are backing the aliens! You can see their ads when you put the glasses on, right under "Obey!" 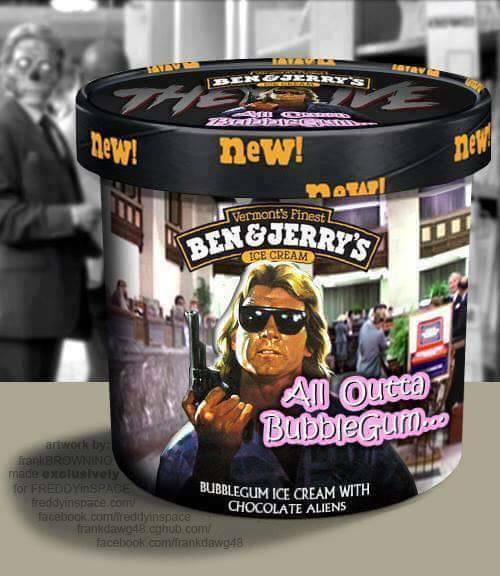 It should be, "Bubble Gum flavored Ice Cream with Chocolate Aliens, Peppers, and No Bubblegum"